We made: A potent cream with 25% highly-stable Vitamin C to correct hyperpigmentation, increase collagen production and enhance the UV-protecting capabilities of your sunscreen. This comes as a set with an Activator to boost the antioxidant content of Vitamin C and keep the ingredients fresh for better results. 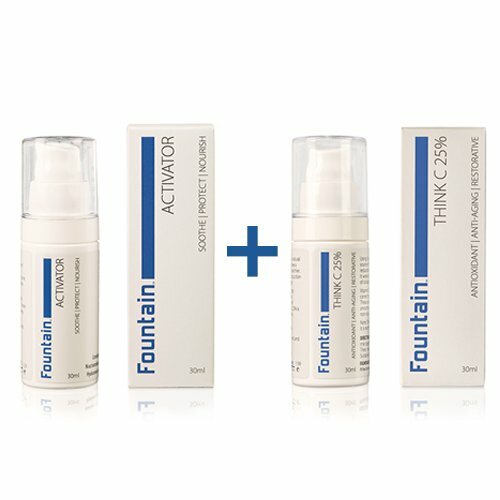 Think C 25% Serum is Fountain’s most potent anti aging cream. 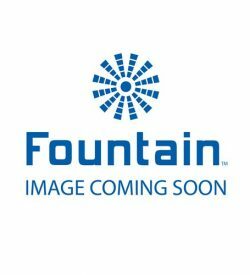 It is recommended that first time users start with Fountain Think C 15%. Combine a small amount of Think C 25% in your hand with a couple of drops of Fountain Activator. Massage lightly into your cleansed face, neck and décolletage. 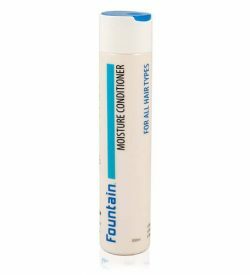 Let it absorb and follow with your favourite Fountain moisturiser. 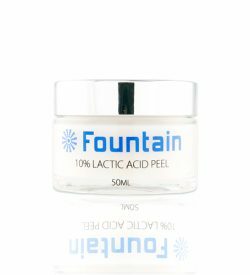 Ascorbic Acid (vitamin C): A powerful antioxidant with anti-inflammatory properties to correct hyperpigmentation and help even skin tone, revitalize the skin’s surface, improve hydration and keep your skin looking younger. Natural Vitamin E: a powerful antioxidant that can penetrate through the layers of the skin to help protect it from damage caused by sun exposure, environmental pollution and natural aging. 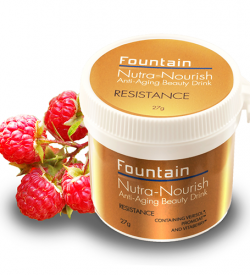 Promotes collagen production to keep the skin soft, supple and smooth. Think C 25%: Cyclopentasiloxane, Ascorbic Acid, Caprylyl-Caprylate/Caprate, Isohexadecane, Polyethylene, Ethylenediamine/Hydrogenated Dimer Dilinoleate Copolymer, Bis-Di-C14-18 Alkyl Amide, Hydrogenated Castor Oil, PTFE, Acetylated Lanolin Alcohol, Sorbitan Laurate, Sorbitan Stearate, Sucrose Cocoate, Hydroxy Dimet- hyoxybenzyl Malonate, Tocopheryl Acetate (Natural), Tocopherol, Citrus Aurantium Bergamia (Bergamot) Fruit Oil, Citrus Grandis (Grapefruit) Peel Oil, Citrus Medica Limonum (Lemon) Peel Oil, Citrus Nobilis (Mandarin Orange) Peel Oil, Geranium Maculatum Oil, Citrus Aurantium (Lime) Oil, Citrus Aurantium Dulcis (Orange) Peel Oil, Cananga Odorata Flower Oil, Jasminum Officinale (Jasmine) Flower Extract, Ethylhexylglycerin, Cetyl Acetate, Oleyl Acetate, Stearyl Acetate, Phenoxyethanol, Citronellol, Geraniol, Limonene, Linalool. Activator: Aqua/Water/Eau, Niacinamide, Pentylene Glycol, Chrondrus Crispus Extract, Sodium Hyaluronate, Ammonium Acryloyldimethyltaurate/VP Copolymer, Ethylhexylglycerin, Disodium EDTA, Phenoxyethanol. My favorite serum combo. I’ve started with Think C 15% a couple of months ago and immediately noticed the difference. Think C 25% helps to prevent break-outs, tightens pores, lightens skin pigmentation and adds a noticeable soft glow. Absolutely love it! I have been using Think C for over a year now and find it a really gentle product to either use straight up on my face, or mix with a moisturiser and feel a deeper impact. The pump bottle is great, and has an inner semi-pressurised bag that means you get great every last drop from the bottle, which means great value! I love this product and I’m a guy. 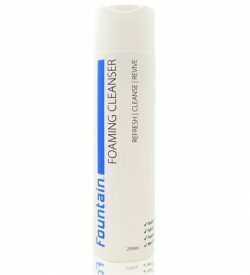 I spend a lot of time outdoors and this really helps my face feel fresh and look good. 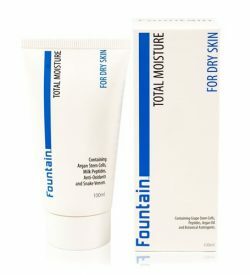 I really notice the difference in the texture of my skin since using this product. Skin seems more radiant. Used other Vit C products in the past but always come back to this one. We made: A moisture-rich anti-aging cream to slow down cell proliferation and restore firmness and plumpness to your skin. Especially suitable for dry skin. We love: Our innovative blend of peptides and argan stem cells specially formulated to create a protective moisture-absorbing barrier to maintain healthier skin. We love: how charcoal and clay work together to tighten the pores and control oil without causing dehydration, leaving your skin soft, bright and clear. Give your skin a nourishing boost of moisture with Fountain Timeless IV Hydrating face serum. 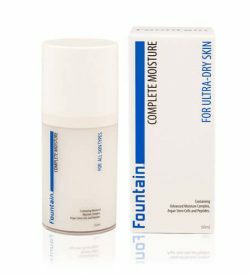 The unique blend of peptides works together to hydrate the skin cells, giving you a look that’s smoother, firmer and healthier. 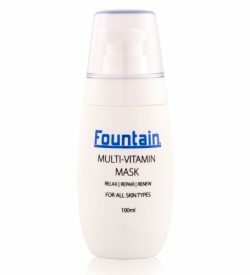 The hydrating face serum’s blend of oils helps create a protective barrier to prevent damage from sun and wind exposure. With regular use your skin appears brighter. We made: An anti-aging face cream with nourishing and protective properties designed specifically for ultra-dry and mature skin. 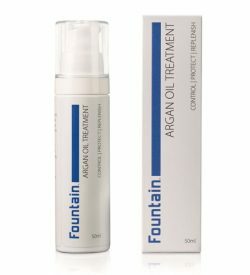 We love: The unique mix of active peptides that encourage collagen and elastin production, enhances the resilience of your skin and prevents new lines and wrinkles from forming.